This recent testimonial made us jump for joy! Not only because we loved helping our client import this classic car beauty, but our happy client was no less than Paul UK, the leading and authentic French bakery that has taken the not just the UK by storm, but is present in over 33 countries worldwide. The Ambassadors of the French art de vivre as they call themselves! Thanks a million for your kind words. It’s been a pleasure working with you and we look forward to serving you again! For more lovely words from our loveliest customers, you can also visit our Google+ page. For more information on our garage services, please contact us today or visit our main website at www.brent-autos.co.uk. … they have to be grabbed! Even if there’s already another classic car restoration project in the making at the same time! 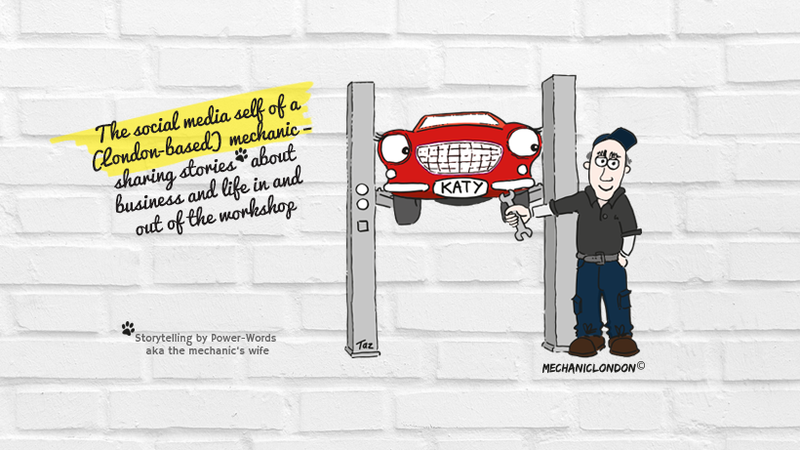 So yes, it’s “Ooops we did it again” here at the mechaniclondon workshop! 100’s! of tediously and diligently researched car parts and accessories. There you go, we practice as we preach! For more information about Brent Autos (est. 1989), or to book your car – modern day or classic – for a Service, MOT or some TLC please contact us today or visit our main website at www.brent-autos.co.uk.